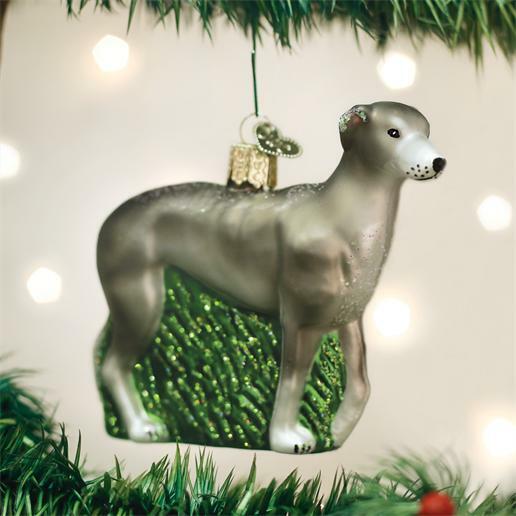 Home > Old World Christmas - Traditional Glass Christmas Ornaments > Old World Christmas Glass Ornament - "Greyhound"
Greyhound dogs are bred for racing. They can reach speeds up to 40 miles per hour in just six strides! In recent years dog lovers have opened their homes to adopt retired racing dogs. The gentle demeanor of the breed makes the dog an excellent family pet.